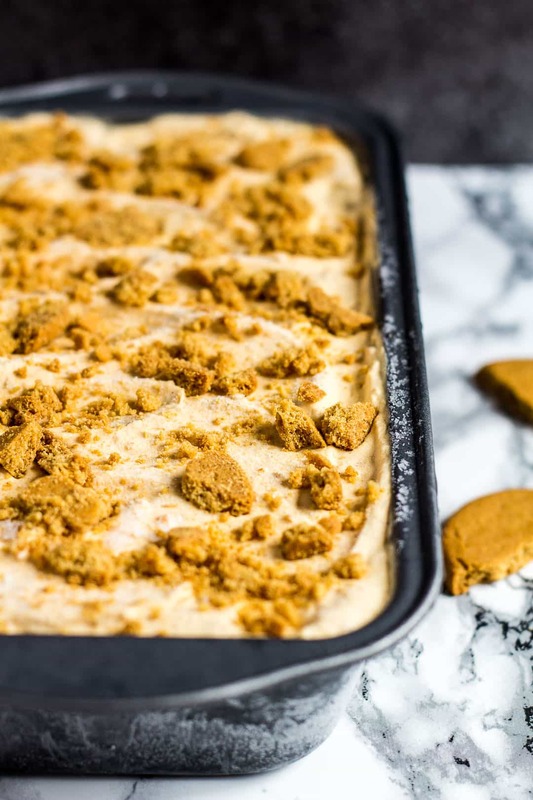 No-Churn Pumpkin Gingerbread Ice Cream – Deliciously creamy no-churn pumpkin ice cream that is perfectly spiced, and stuffed with ginger biscuits! 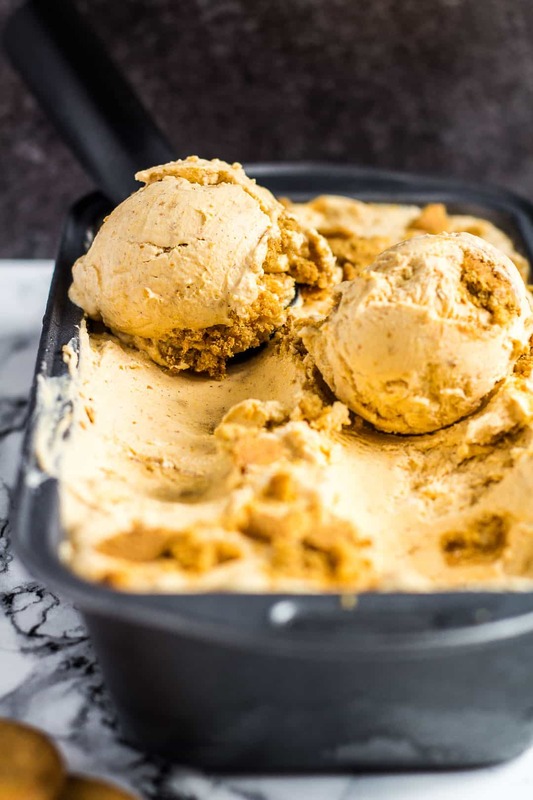 Here’s a super quick and easy autumn/Halloween recipe for you – Pumpkin Gingerbread Ice Cream (no-churn!). 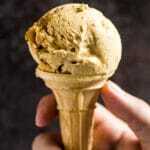 Deliciously creamy pumpkin ice cream that is spiced with ginger, cinnamon, and a little nutmeg, and stuffed full of crushed ginger biscuits. Perfection. No-churn ice cream is so quick and easy to whip together, and it’s absolutely delicious! Simply whip the heavy cream to stiff peaks, set aside. Whisk together the condensed milk, pumpkin, vanilla, and spices. Fold in the whipped cream, then the crushed ginger biscuits. Pour and spread the mixture into a loaf pan, and freeze for at least 6 hours, or overnight. This ice cream can be kept frozen for up to 1 month, but it never lasts that long in my house! This ice cream will keep well in the freezer for up to a month, but it won’t last that long – trust me. 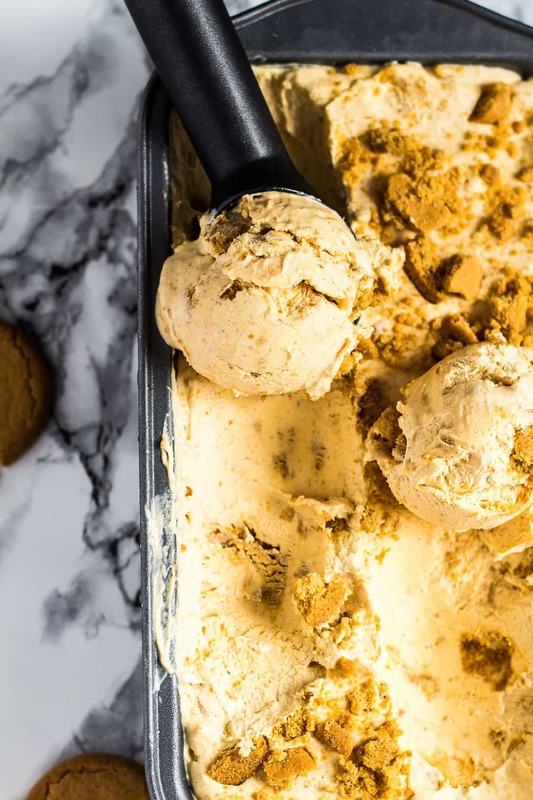 More NO-CHURN ice cream recipes to try! 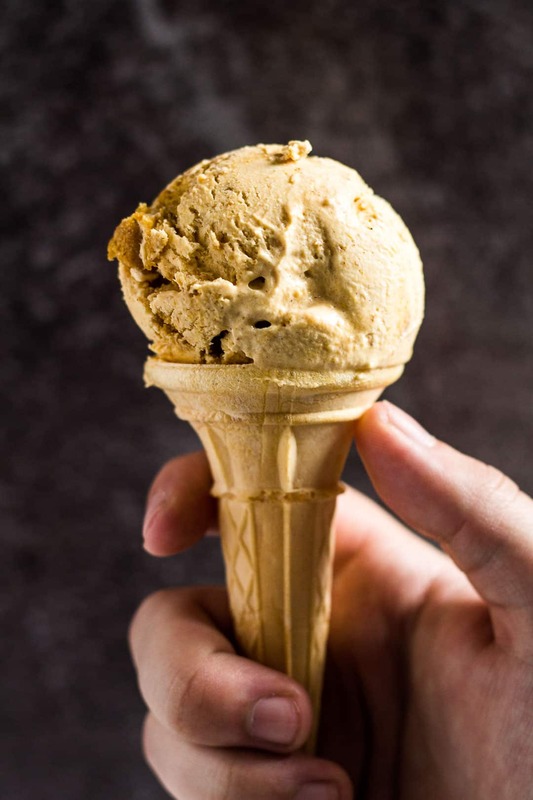 Deliciously creamy no-churn pumpkin ice cream that is perfectly spiced, and stuffed with ginger biscuits! In a separate bowl, whisk together the condensed milk, vanilla, pumpkin puree, and spices. Gently fold in the whipped cream, then the crushed biscuits. Pour the mixture into a 9x5-inch loaf pan, sprinkle with extra crushed ginger biscuits if desired, then cover tightly. Place in the freezer for at least 6 hours, or overnight before serving. This is everything. 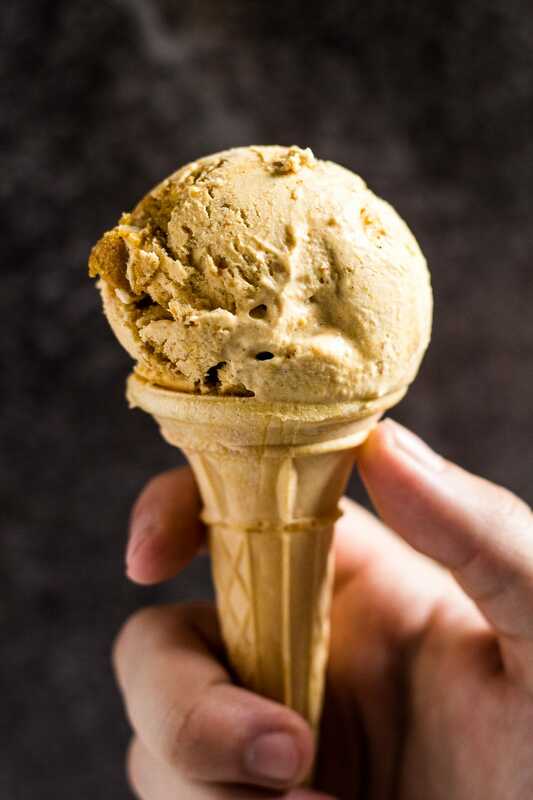 I mean, the more ways I can consume pumpkin the better this time of year, but this ice cream is somethin’ else. Definitely need to try!